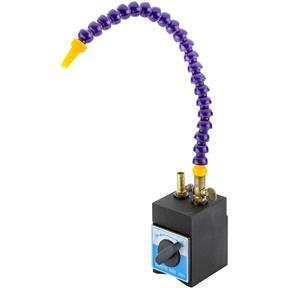 Put the convenience of magnetic power right where you need it with this Magnetic Base quick locking coolant hose system. Attaches to any ferrous iron material with the twist of an On/Off switch. 1/4" x 14" flexible coolant hose is valve controlled and stays where you put it. 110 lb. force.